This is our first event and we hope you can make it! 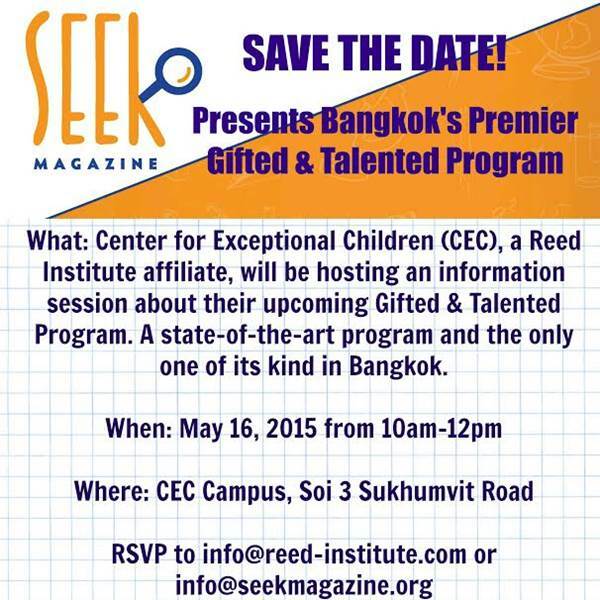 SEEK Magazine really would like to help all types of learners not just children with developmental delays through our scholarship programs! With that being said we will also be creating a scholarship program for gifted & talented students! More information about this family event to come! Relax and enjoy the information session while your children learn and play with the CEC staff!